I love taking video and photo. I love video more and that is why I let my good friend and business partner Mackenzie Abraham takes the pictures. Together we are the perfect team for any event. Favorite movies are “My Cousin Vinny” and “God must Be Crazy Part # 1”. Good friends and ice cream are a perfect combination. I love people and that is why I always smile when I am around them. I speak three languages. Creole my first (born and raised in Haiti), French my second (learn in school), and English my third (lived in NY, USA since 1987). I am a NYC public school computer art teacher and have a master's degree in TV production and management from Brooklyn College. I love reading/learning about technology and always looking for ways to perfect my skills. 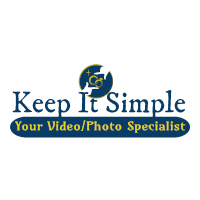 New York City photographer Mckenzie is a professionally trained photographer who shoots a range of commercial, wedding, portraits and editorial photography. He is based in Brooklyn, NY and offers a high quality regional and national service. Ever since he first bought a camera in 1998, he has been passionate about photography. Although he made his first commercial sale of photographs soon after buying his first camera, it took him another 6 years to commit to a photography career. As a student, he won several photography competitions. He now takes great satisfaction in crafting professional photographs of all types of subject, and enjoy the spectrum of challenges that photography provides, from lighting a food still life photograph, arranging a group portrait or deliberating on the ideal viewpoint for a cityscape. Much of his work involves photographing business people at their workplace, brides and grooms on their wedding day and corporate portrait photographs for covers and features of several business related magazines.